Bold Eagles and more, let us look at some related kigo. Most of them live in Hokkaido or the great forests of Northern Japan. gray-faced buzzard, goshawk, crested eagle. The gray-faced buzzard, Bustatur indicus (sashiba 差羽) and the honey buzzard, Pernis ptilorhynchus (hachikuma 八角鷹) are kigo for summer. The family Accipitridae encompasses many of the diurnal birds of prey, including the familiar hawks and eagles. The Howard and Moore Checklist of the Birds of the World recognizes 233 species in 67 genera in this family worldwide. The bald eagle's story is one of recovery. With the banning of chemicals such as DDT, this majestic bird has made a comeback. While there are still many threats, its future looks good. 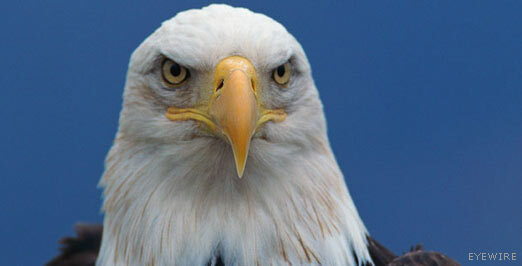 Bald eagles normally lay two or three eggs. Two eggs is more common. Eggs are normally incubated for about 35 days, typically starting in March with chicks hatching in April. The chicks stay in the nest growing bigger until August. From April to August, the parents will bring lots of food to the chicks, so we might be in for an interesting array of dead wildlife on our Web cam! Much of the food will be fish, but it can also include seabirds or seals. The chicks take their time leaving the nest. Gradually, they will work their way out on the branches near the nest after they are about 12 weeks old. Then they will fly but stay in the area. For these many months, they spend most of their time crying to their parents asking for food. In September they will start to forage on their own. 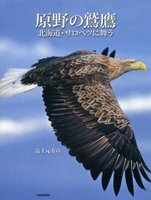 Young eagles are on their own until they are about five years old, when they'll look for a mate. They may return to their old nests to visit their parents, but there is no way to tell if a returning juvenile is related to the pair or not. There are not really any predators that threaten the bald eagle chicks or eggs as the parents are almost always on the nest and they are quite powerful large birds. And sits on its egg. This undated haiku seems to be a revision of this one that Issa wrote in 1813: misosazai kono tsugomori wo gatten ka hey wren! do you realize it's the 30th? In the old Japanese calendar, the 30th day of Ninth Month was the last day of autumn. Since the wren is a winter bird, Issa is either saying: "You're a day early!" or: "Get ready; your season starts tomorrow!"